September 28-30 was a wonderful weekend. Smiles were everywhere. To start with the weather was as glorious as it gets in Minnesota at the end of September..
Fall Fest Entries were up. Participants were up. Halter and Performance classes were split for the first time in years. The caliber of Horses was Exceptional. The Venues looked great. Thanks to all members who participated in generating a great Image. 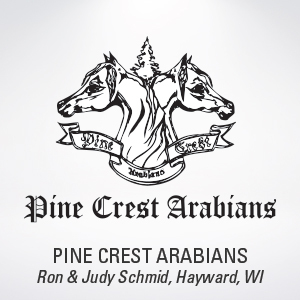 Arlene Magid and the Institute for the Desert Horse provided exceptional seminars. The Food and Atmosphere at the Progressive Dinner was superb. 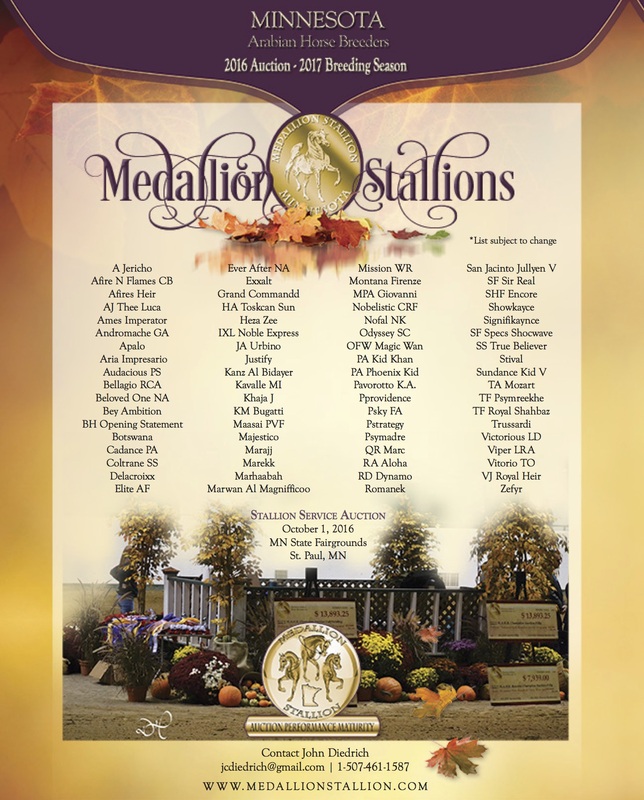 Thank You to all Stallion Owners for nominating a great group of Medallion Stallions. We will be welcoming new members in the new year because of the enthusiasm at Fall Fest. Vendor numbers were the highest in years. Our Patron numbers were the highest in years. Thank you to each one of them. We were thrilled to award $5000 to the Juvenile Diabetes Research Foundation.Our Yearling Finals continue to be the most Exciting 15 minutes in the Industry.We welcomed DS Major Afire and Glory Bound into our Hall of Fame. DS Major Afire then won High Point Sire. Wow. 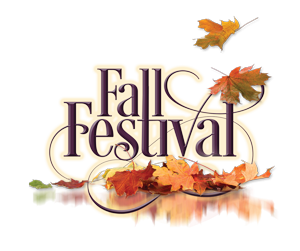 Fall Fest 32 will be September 27-29 at the Minnesota State Fairgrounds. See You There. Tis The Season. Its now 60 days until the 2012 Fall Festival gets into gear so its now time to refresh the “to do” list for this year’s event..
3. 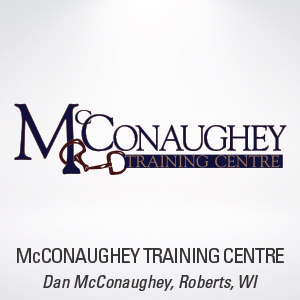 Ensure your equipment is ready to go. 10 Tell all your friends what how much fun you had. The only word to describe the last 30 days is UP! We welcome four new members to the Breeders. 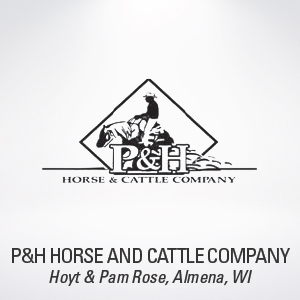 Laura and Sam Peacemaker, Jennifer Patterson, Muffet Eskra, and Angela Rasmussen bring not only their enthusiasm and commitment, but a notable stallion lineup. We are delighted you have chosen to pursue membership in the club. In addition to these new members we expect to approve transfers to an additional four members at our annual meeting in December. Interest in the MAHB has been great and reinforces our position that we will remain the leader among the Arabian Futurity programs. 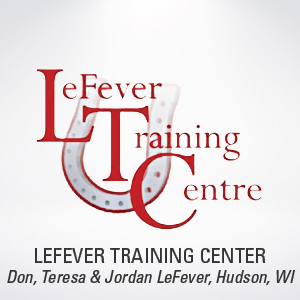 Results drive our Futurity. The 2011 Show produced great results. 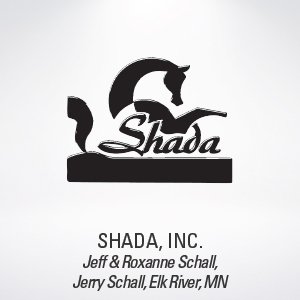 Stallion nominations are up. Auction results are up. Excitement is up. We look forward to increased entries, nominations, and participants in 2012. Before we get ahead of ourselves, mare nominations for all mares bred to Medallion Stallions in 2011 are due by December 31, 2011. We do not want to miss a single foal eligible to participate in the Medallion program. Get those entries in the mail. 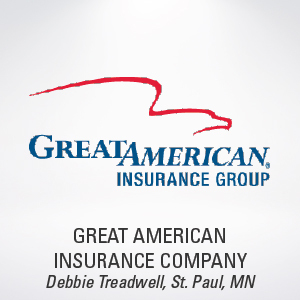 Thank you to our members, our sponsors and particularly those of you who show at Fall Fest. 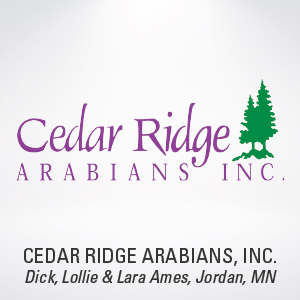 Each of you helped to make the 2011 Show something that has become a buzz in the Arabian Industry. 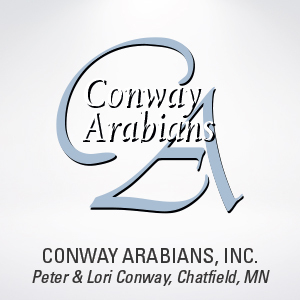 We are thrilled to welcome new members Cecilia and Ric Summers of Wil-O-Mar Arabians to MAHB. There is significant activity right now with prospective members and as a club, we are both grateful and excited to have received numerous overtures in the past couple of months. In addition to the Summers, we look forward to acknowledging several new members in the coming days and weeks. Our members remain the engine that drives our organization and as we welcome active and involved new members, we are assured the future of the MAHB is secure. We are also pleased to announce that our 2011 Charity will be Majestic Hills Ranch. As a rehabilitation and therapy facility, Majestic Hills uses horses as a means to improve the lives of both challenged young people and veterans with disabilities. 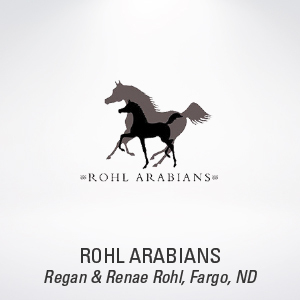 Their results have been remarkable, and yes, they use Arabian horses in their string. See them at Fall Fest to get a firsthand view of their dedication and passion. Remember to register your yearlings with us prior to bringing them to Fall Fest. Save yourself some time and aggravation once you get to the show. We’re sure the Show Staff would appreciate it as well. Registration forms can be found on this website. The next Board and Membership meetings will be held Saturday, July 16 at the Walter Mishek home in Waseca, MN. Just over four months are left until it all gets started. Join us. Participate with us. Have fun with us. We appreciate it. 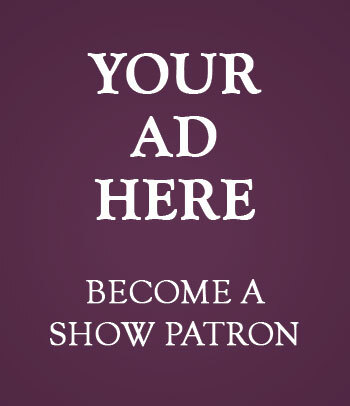 Membership renewals, committee volunteers, and stallion nominations for 2011-2012 are pouring in and we thank our membership for their efforts. But before we become too quick to move on, there are a lot of mares yet to be bred in 2011. 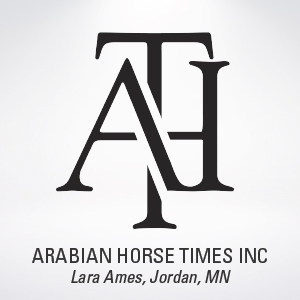 Toward that end, promote your stallion as the opportunity to participate in the finest and fairest Arabian Futurity in the country. 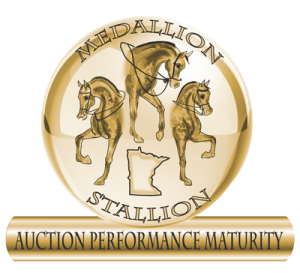 For mare owners looking for a stallion with an advantage, look no further than the list of 2011 Medallion Stallions. There is plenty of time to breed that competitive foal who has the chance to recoup your breeding investment. 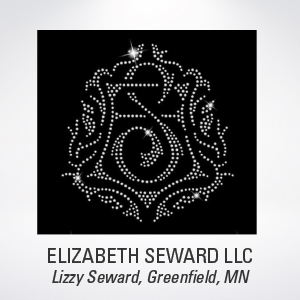 We talk all the time about the great location the Minnesota State Fair offers for the show, and this year we can add to the quality of the venue. The number of block stalls in the barn has been doubled. All stalls will be level and matted—no more hard-as-rock, uneven footing stalls. Your entries will enjoy the safety and comfort provided by these upgrades so bring your your best. We look forward to a quality show matched by the quality of the facilities. 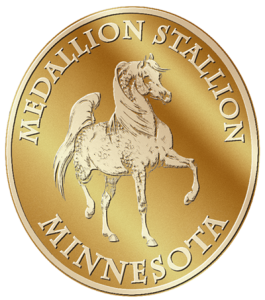 It remains our intention to recruit the finest group of stallions ever to join the 2012 Medallion Stallion roster. 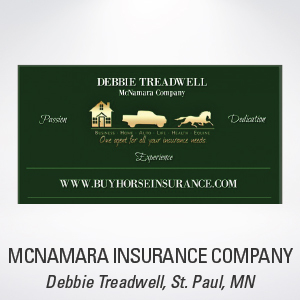 If you feel your stallion belongs with the best, contact John Diedrich or any member of the MAHB. We are looking for you and look forward to your participation and welcome your faith. Details of the 2011 Fall Festival are coming into focus. In a similar effort to make it easier for our participants who travel some distance to get to the show, we will be opening the Barn for early arrivals on Wednesday afternoon after 1 pm. If you intend to arrive early, please ensure your shavings orders are included with your entries. Fair support will be better on Thursday when we will be staffing the Barn office and the Show office will open. 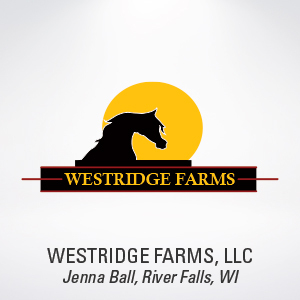 Hopefully, this move will allow travelers direct access to the Barn rather than having to arrange overnight stabling as well as allowing these exhibitors to enter more horses. 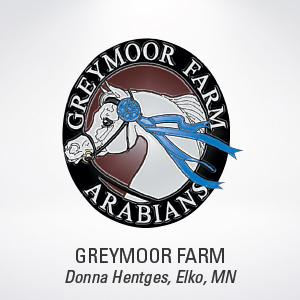 Happy New Year from the Minnesota Arabian Horse Breeders! We are excited about 2011 and anticipate putting on the BEST Fall Fest ever. Remember, we were the First, remain the Finest, and will continue to be the Fairest. 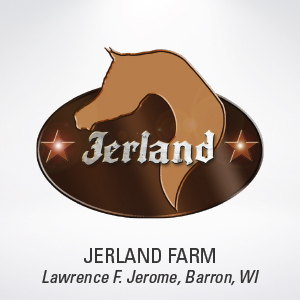 If you don’t make plans to attend any other Futurity this year, come to the Twin Cities in September. It’s not Scottsdale in February, but it can be glorious. We will be using this page to bring you news and updates on both the club and the show throughout 2011. Visit often. We appreciate it.